Another Brooklyn proves that plot twists aren’t everything when creating suspense. Street talks to editors of Penn's feminist literary magazine. Pick up your ballet shoes, Mr. Darcy. Exploring new perspectives through the intersections of different arts. They're basically student athletes AND musicians. Housemoshi says hello and welcome. It's not just that they're seen as "boring." If Michelangelo went to Penn, he would have a major case of Penn Face. Who ever said fine arts was not employable? Don't miss the Van Gogh or Cézanne in the movie. How the PMA and other exhibitions manipulate space. Her influence goes far beyond her time. The writer of The Disaster Artist, the creator of The Addams Family, and more. 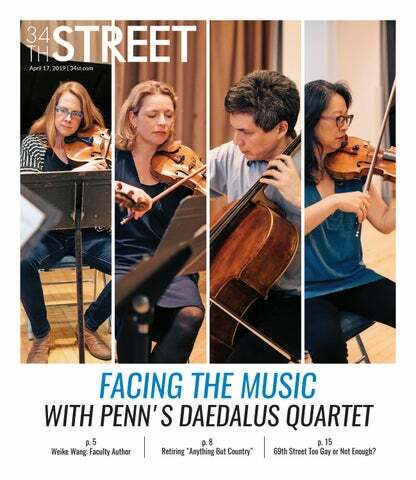 Street talks to Penn's oldest performing arts group about their spring show. Previewing the Penn bellydancing troupe's 2018 show. So you can read it without laughing.